4. When done, let pepitas cool. 5. Prepare vinaigrette by hand or with food processor by mixing shallot, olive oil, vinegar, brown sugar, kosher salt & fresh ground pepper. Let vinaigrette chill. 6. Tear radicchio into large leaves and arrange on serving platter. 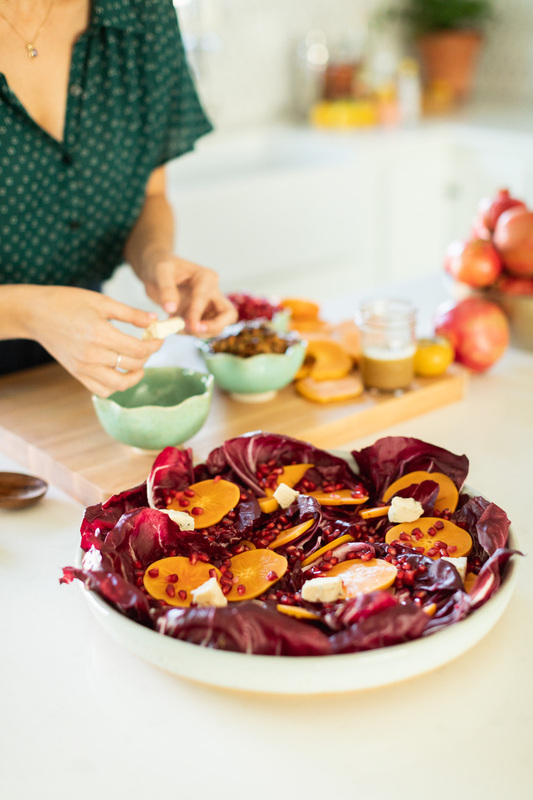 Cut persimmons into rounds and halves and add to platter. 7. Using a wedge of blue cheese, roughly crumble and add to salad. 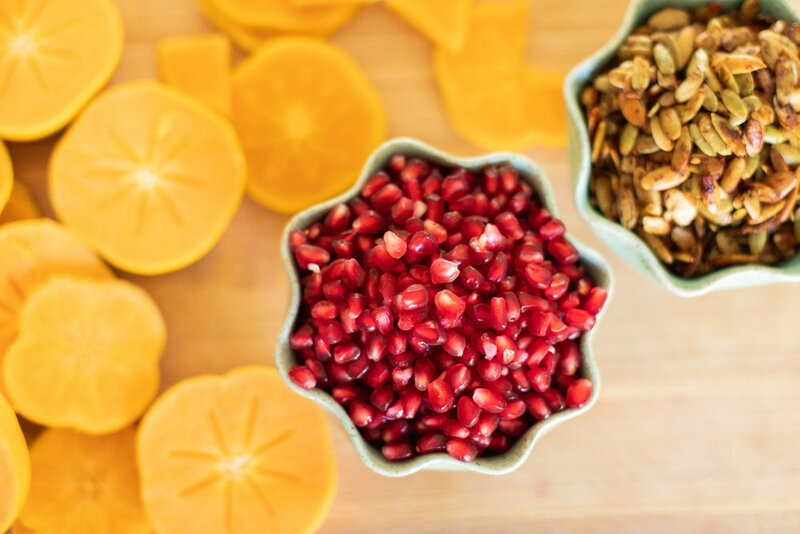 Sprinkle with pomegranate seeds. Top with spiced pepitas. Drizzle with pomegranate shallot vinaigrette.